If you are about to undergo a kitchen renovation, you probably want to know what the most durable kitchen flooring available on the market is. 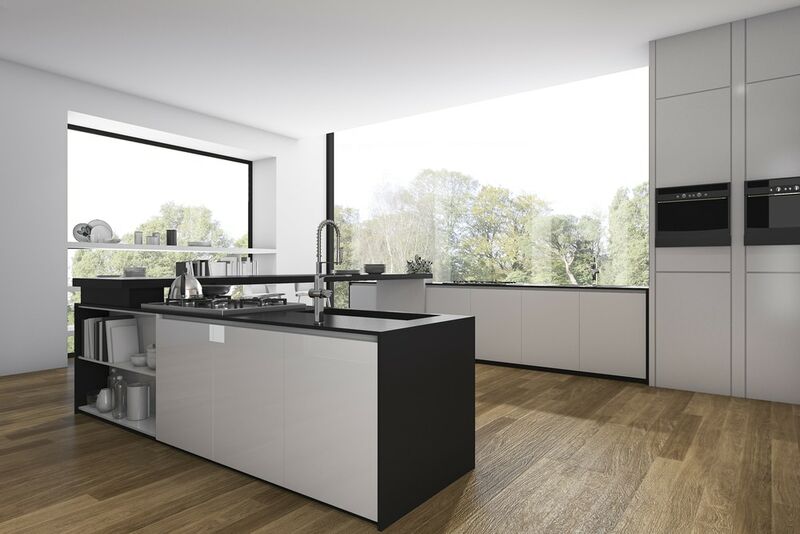 The fact is, there are so many kitchen flooring options available, it can make your head spin. No kitchen flooring material does it all; each has its own pros and cons. Do you know the difference between laminate, wood patterned vinyl, hardwood, cork, and bamboo? Be sure that the next time you begin kitchen remodeling, you know exactly what will be the most durable kitchen flooring for you. Hardwood is one the best kitchen flooring materials available because it is durable and timeless. Wood flooring has been used since the 1800’s and will always be in style. Further, you can always sand and re-stain the hardwood after it starts to wear. It is a durable kitchen flooring in itself, but is prone to scratching from chair legs. You must be sure to add protective pads to the bottom of chairs and not drag things along the wood. Before you choose vinyl for your next kitchen remodeling job, know the important pros and cons. Vinyl is an extremely soft flooring that is easy on the feet and comes in many patterns. It is also cheaper than wood and tile. While it is not the most durable kitchen flooring, after it wears down, it is quite easy to replace. Vinyl is glued into place by professionals, and can simply be torn up and replaced. Vinyl is probably not the best kitchen flooring material if your floor plan is oddly shaped. That is because vinyl comes in large pieces that must be cut. If you have an island or turns in your kitchen, there will be seams. Laminate is not the most durable kitchen flooring, but is liked for its beauty and price. Better known as engineered hardwood, laminate is a popular kitchen flooring among those who want hardwood, but cannot handle the price. While hardwood may have natural imperfections, laminate will always look perfect. It’s important to know that because the wood is manufactured, spills can soak into the wood planks and cause them to swell. Laminate is also susceptible to dings from falling pans or dishes. Ceramic tile is, by far, the most durable kitchen flooring. When you’re remodeling your kitchen, give ceramic tile a thought. The tiles are thick and created specifically to withstand impacts. However, dropping large heavy objects may cause them crack. Ceramic tile is not the most popular kitchen flooring only because of its price. High quality, slip resistant tiles can be upwards of $15 per square foot. Then, the cost of installation can be nearly that. Thankfully, if you dish out the money, you’ll likely never have to replace your kitchen flooring again. Cork kitchen flooring is not the most durable kitchen flooring by far. In fact, it’s probably the least durable here, but a great option nonetheless. Cork is the most popular kitchen flooring for people who want eco-friendly flooring that has the beauty of hardwood, without the high price. A fast growing piece of wood, such as bamboo, cork has a minimal environmental impact. But it’s not just for nature lovers. One of the softer choices, cork kitchen flooring is water resistant, slip resistant, and easy to install. However, cork flooring will need to be resealed every few years to protect it against scratches and spills, especially in high traffic areas. While ceramic tile is the most durable kitchen flooring by far, there are so many other qualities to consider. If you cannot upfront the cost of ceramic tile for your next kitchen renovation, consider laminate or a wood patterned vinyl. Just because an option is the most durable kitchen flooring, doesn’t mean it’s the best option for you. Cork is quickly becoming one of the most popular kitchen flooring materials, while the natural beauty of hardwood has been sought after for decades. Whatever you choose, make sure you shop around and find one that you absolutely love, because you may be stuck with it for a while. 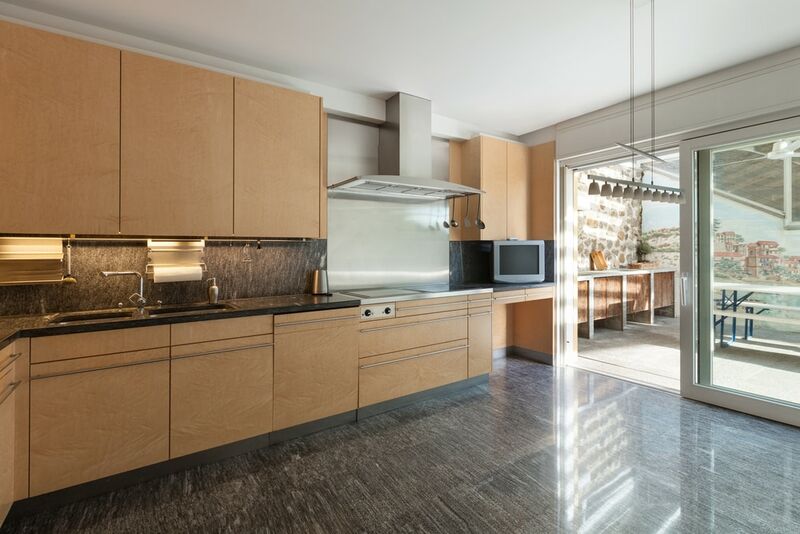 Be sure to contact David Barbale with any of your kitchen renovation needs. David Barbale is a general contractor serving Worchester County for over 35 years. Learn more here.